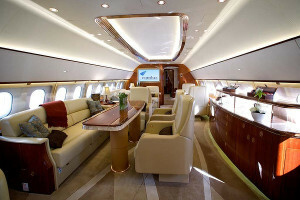 Airbus ACJ319, costs 87 million dollars and has the most spacious and luxurious aircraft interior. 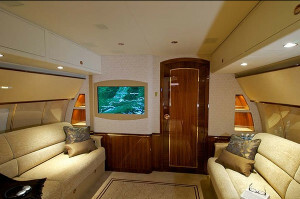 There is probably no big differences between this plane and a luxury hotel, that’s because, while flying with ACJ 319, you can get lost easily in the spacious bedrooms, luxurious bathrooms and workspaces where you feel more able to work than the office. The main room is decorated with cream leather chairs, large sofas and soft carpet for a complete relaxation. Polished wooden tables with small lamps and red roses complement your decor. 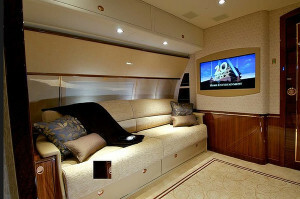 On board is also a huge TV mounted on a wall and a giant-sized dinner table. 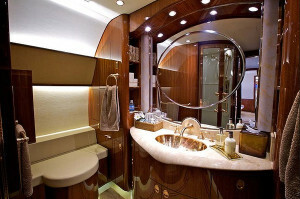 The bathroom is decorated with gold taps and has a huge shower. The most luxurious city of the world, unpublished images.